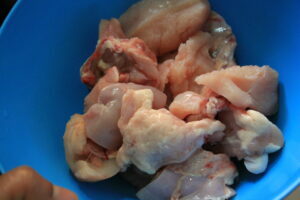 Juicy inside and crisp from outside chicken pieces – perfect snack and side dish recipe. 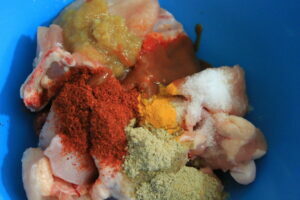 In a mixing bowl, take chicken pieces, ginger garlic paste, red chilli powder, turmeric powder, red chilli sauce, salt, chaat masala, and lemon juice. Mix well. Add jeera lawan, in the marination. Mix well. This step is optional, you can skip this step, if you don’t have jeera lawan available. 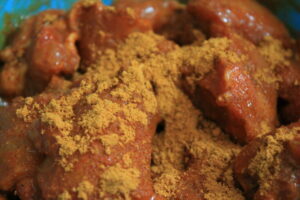 Marinate chicken for 2-3 hours. 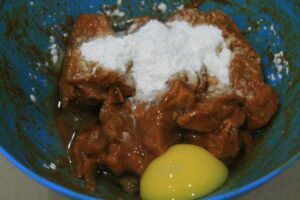 After 2-3 hours, add egg and cornflour. Mix well. 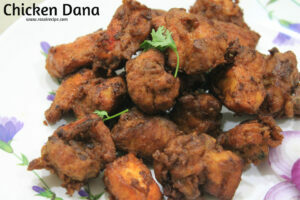 Deep-fry chicken pieces till crisp and nicely fried. Remove pieces on an absorbent paper. 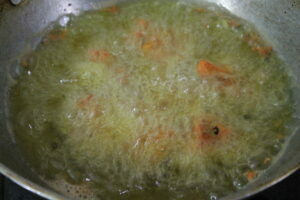 Serve hot with green chutney, lemon wedges and onion slices.